Let’s be honest, dogs are the greatest thing in the world – and if you’re lucky enough to have a dog (or 20) you want to treat them the best you can. But feeding and walking them doesn’t have to be a routine mission, you can have fun with them too. There are many parks across the world which were designed and built with dogs in mind, and you just have to check them out. 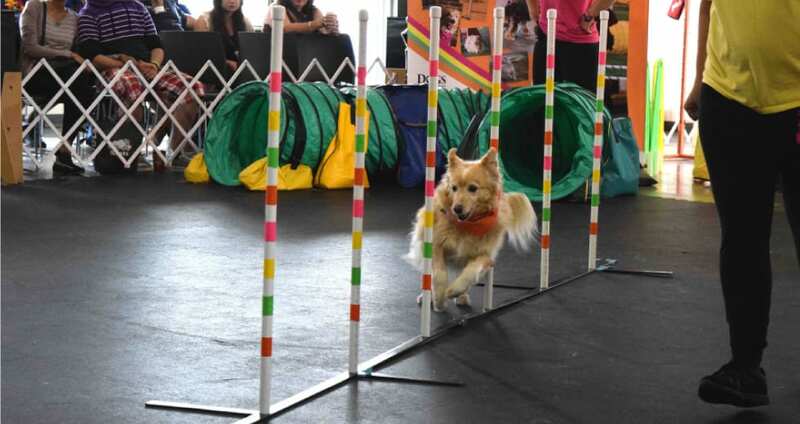 Here are five of the coolest dog parks in the world. Just like any perfect date, you take him or her out for a fun activity, and round the day off with a bite to eat. So why should it be any different for dogs?! 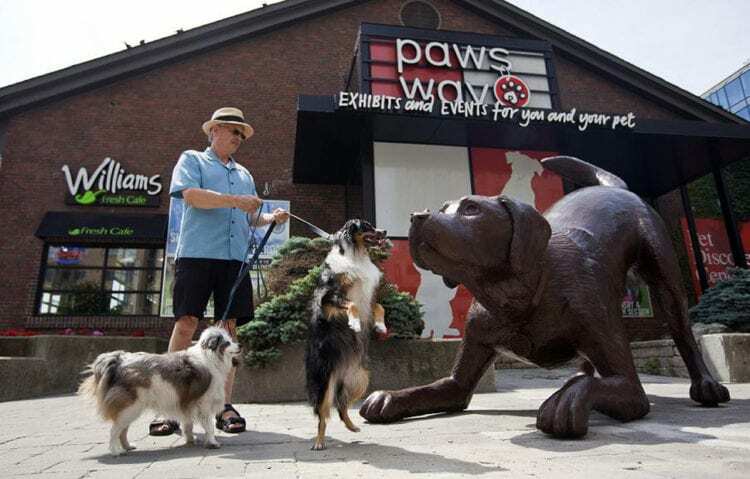 At Pawsway in Canada, you can let your dog loose in over 3700 feet of doggy heaven inside a custom built doggy building. Before taking them to the indoor eatery where you can eat your dinner – and so can they (which means they don’t stare longingly at your meal the whole time). If you want the best dog walk in the history of dog walks – Dog Wood Park is your place. The park can’t really be called a park, considering it’s a whopping 42 acres! So you dog won’t be short on places to go. But if you want a more civilized walk, there are 10 miles worth of treks and trails, lakes and training features. Could you and your pooch need anything more? If you find yourself all topsy-turvy in Australia and looking for somewhere to take your dog, Hawthorne Canal Reserve is one of the best in the country. This off-leash reserve is open 24/7 and is one of the most dog-friendly areas in Australia; many dogs (and owners) use it as a place to socialize. The reserve also has its own Cafe Bones, which will provide you and your dog with a hearty meal after your workout (commonly known as a dog walk). Seriously, with a name like that do we even need to explain it to you? (Well, we will anyway). 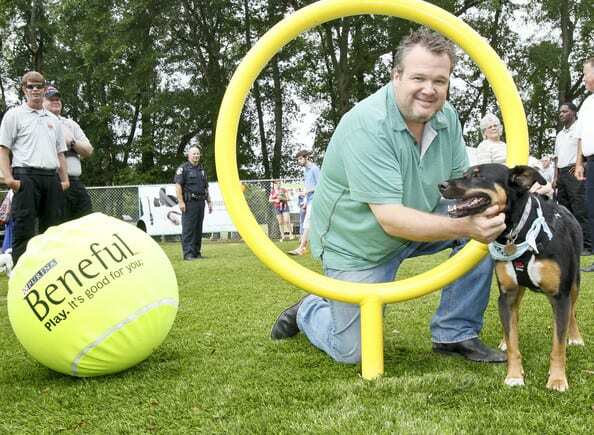 The Beneful Dream Dog Park is quite literally a dream for dogs who love water. The park is primarily a splash park that has so many splash pads we’ve lost count. Throw a ball into the mix and the dogs go crazy. But the park also boasts a huge football field and space where the doggos can play with each other. Have you ever wondered what a water park for dogs would look like? It would look like this. The Resort Canina Can Jane is a waterpark that gives dogs all of their waterpark needs (yes, dogs do have waterpark needs too). Think waterslides, paddle boards, kayaks, slides and wave pools. Because why not? And the humans can get involved too. Are lazy vacations a waste of money?